Using innovative juggling, physical comedy, and almost-philosophy to guide you through Robin Dale’s mind and body of research. Featuring pouring, ping pong, and a motivational speech delivered by a man in swimming trunks, this is a charmingly rhetorical debut show. Please, suspend for the next 30 minutes any scepticism about the value of the totally obvious. 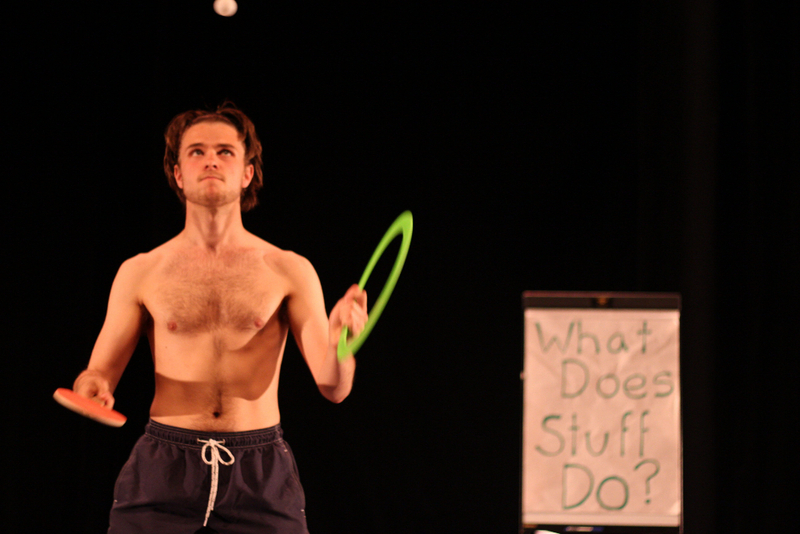 A recent graduate from Circomedia in Bristol, Robin has been training in object manipulation and physical theatre. He performs in a wide variety of styles, including contemporary circus, stand-up comedy, and cabaret/burlesque.